Argentinian piano trio jazz. Virtuosic violinists. 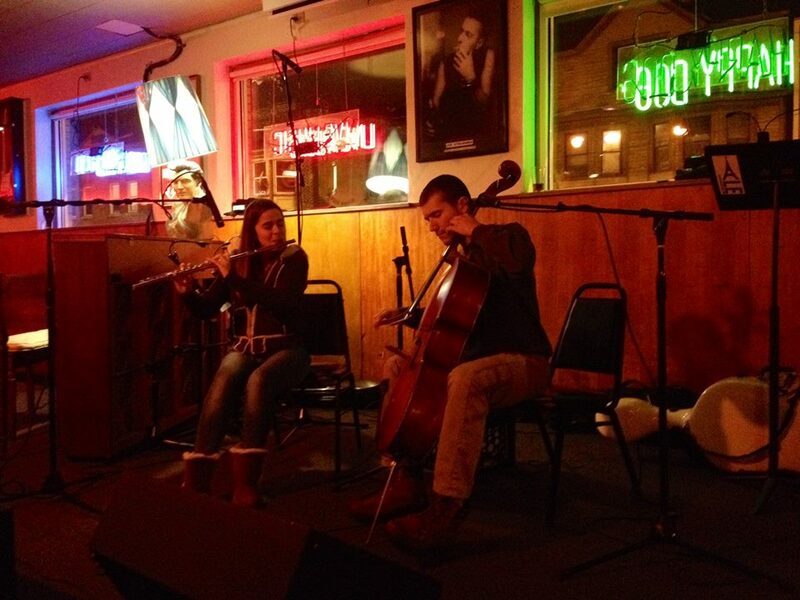 Flute/cello crossover duos. CRAZY OPERA ARIAS. An impromptu, quartet sight-reading session with musicians who have just met. Classical guitar. 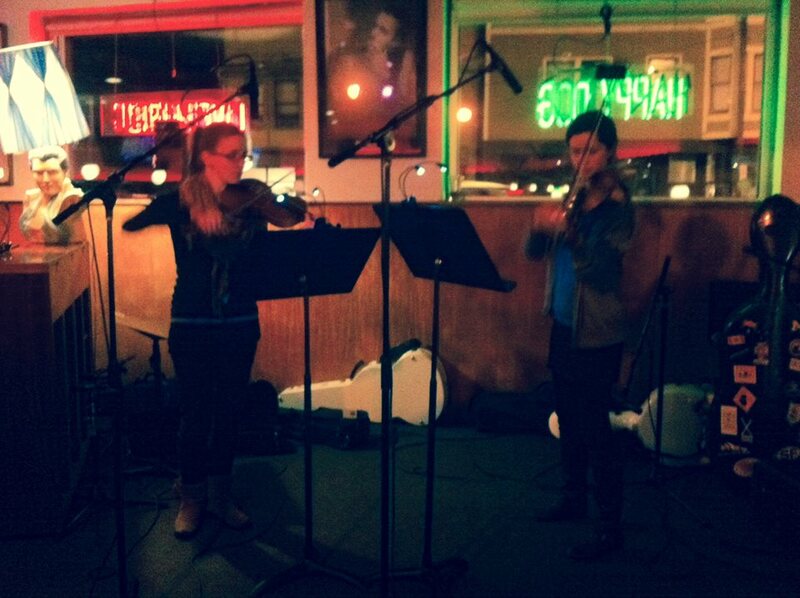 Baroque violin duos. 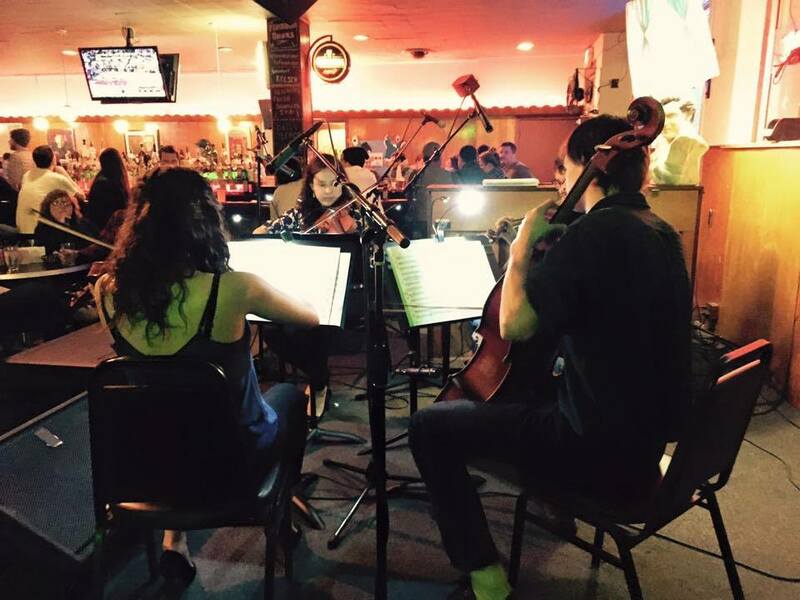 It’s all in a night of Classical Revolution Cleveland at the Happy Dog. See you next month. Previous On the air, with WCLV! 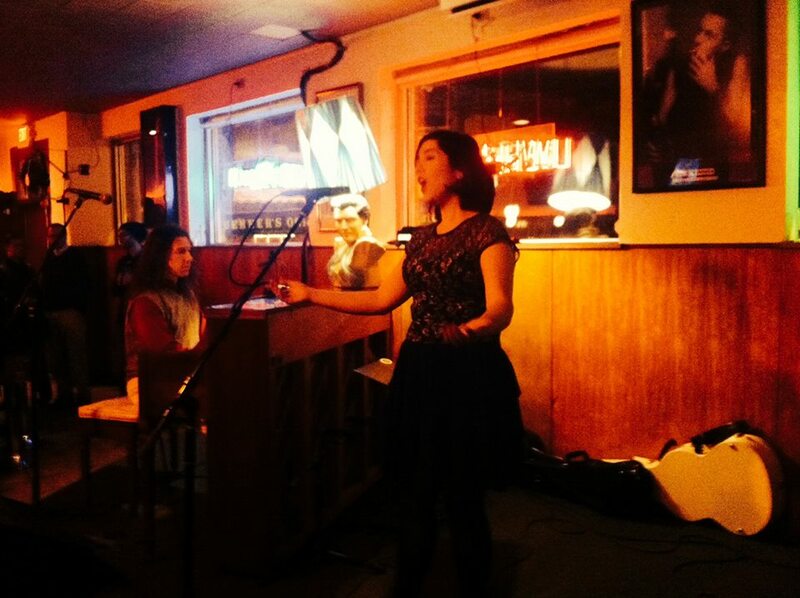 Next Featured Musician: Cori(e) Lint! How can I find out your schedule? Our regular show is every third Tuesday of the month at The Happy Dog (5801 Detroit Ave, Cleveland). For other special events, etc, we post ahead of time on our Facebook page: http://www.facebook.com/classicalrevolutionCLE.